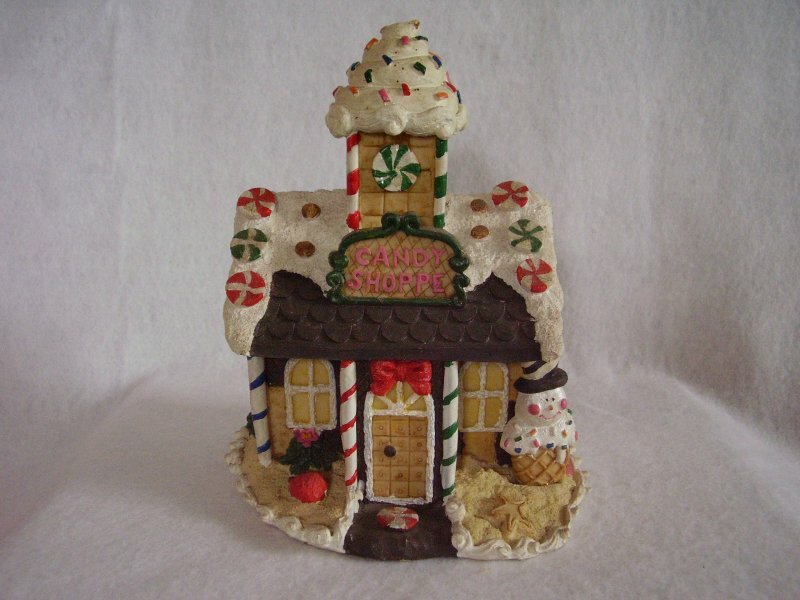 Christmas village building named Candy Shoppe. This building does NOT light up. 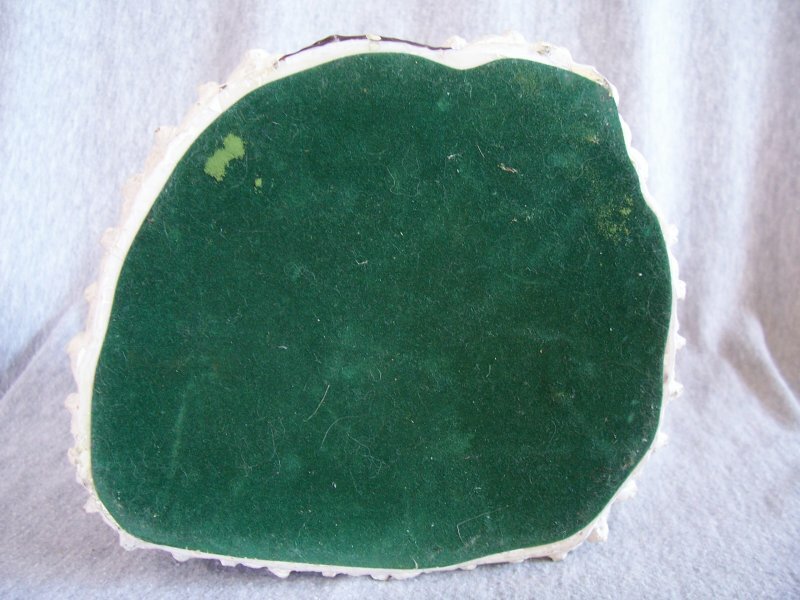 Made of resin and bottom covered in felt. In gently used condition. No chips or scratches. Felt bottom shows some wear from being moved around. 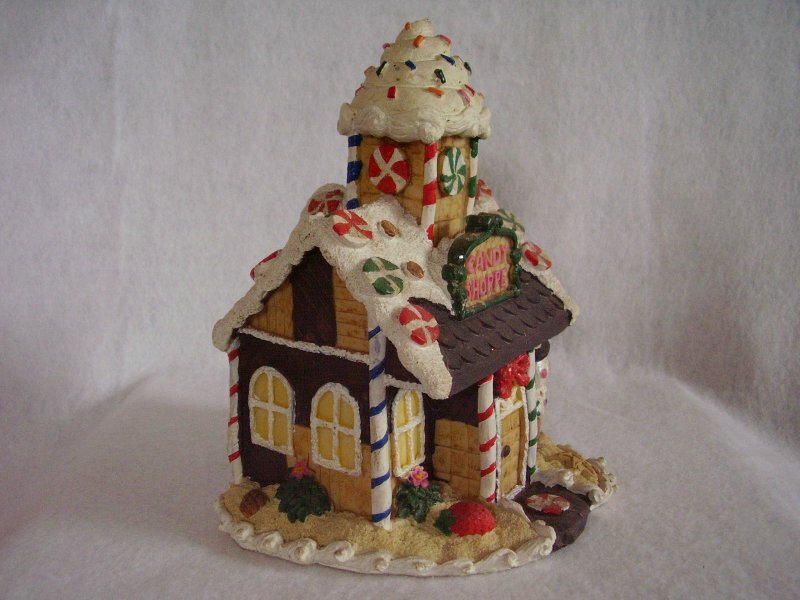 Measures 8 inches tall x 6 1/2 inches wide x 6 inches deep. 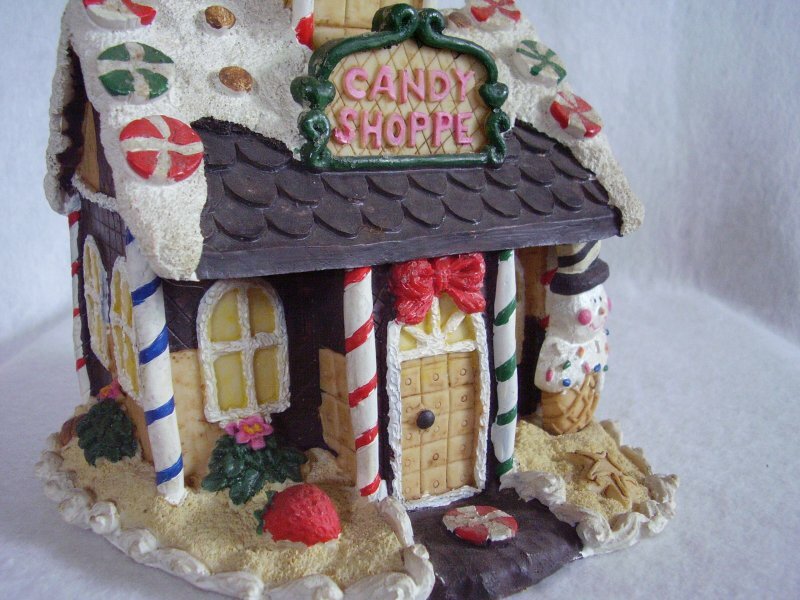 Christmas village building named Candy Shoppe. This building does NOT light up. Made of resin and bottom covered in felt. In gently used condition. No chips or scratches. Felt bottom shows some wear from being moved around. 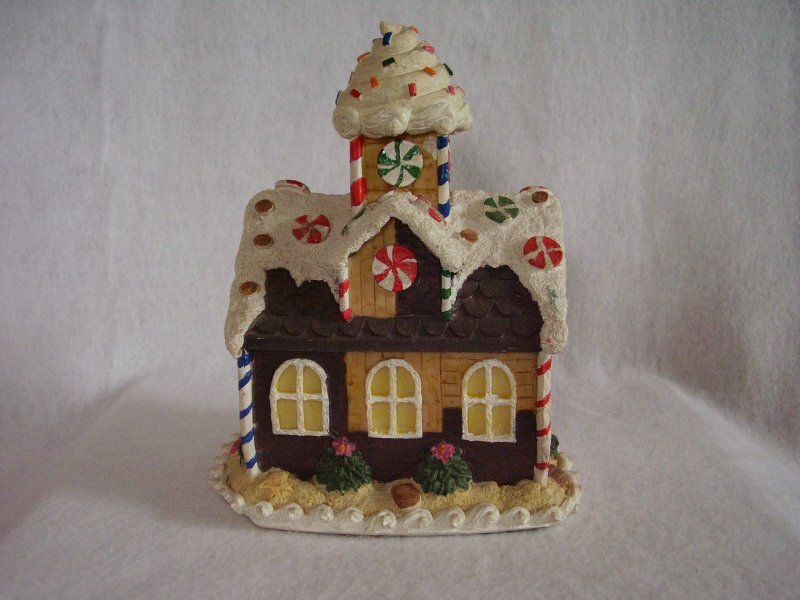 Measures 8 inches tall x 6 1/2 inches wide x 6 inches deep. 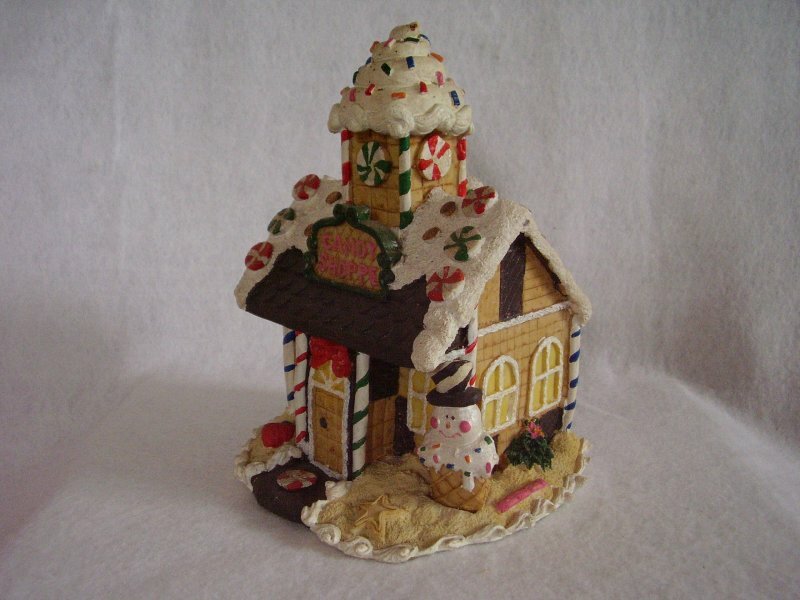 Cute Christmas building to nestle in some greenery on a table or mantle.